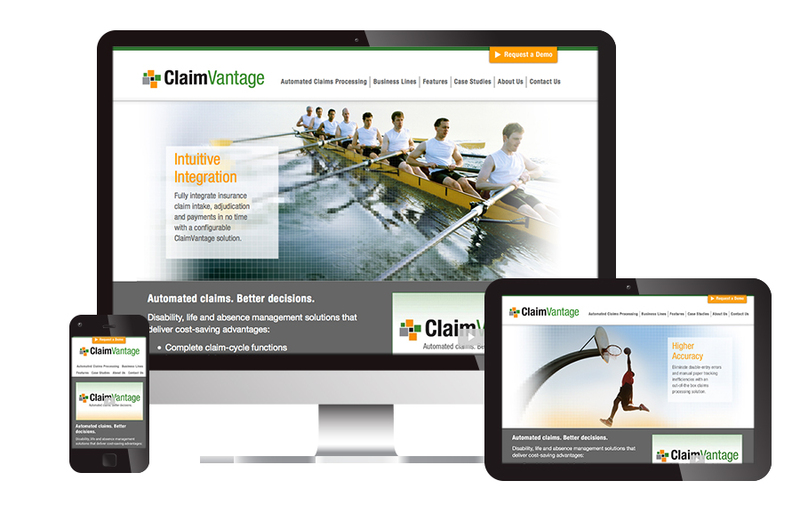 ClaimVantage creates claims processing software for the insurance industry. Before designing their logo, Visible Logic did a complete brand, market and audience analysis. The squares in their logo represent ClaimVantage’s ability to focus on small details, while managing the large building blocks of claims processing. A simplified and updated logo paved the way for a more sleek, modern, and usable website redesign. 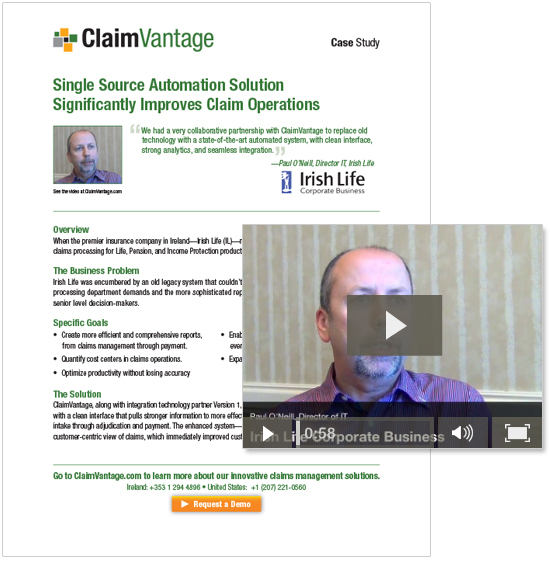 Completely designed and written by Visible Logic, their new web site helped position ClaimVantage as an established player in the insurance field, and no longer just a startup. Visible Logic spearheaded all of ClaimVantage’s marketing, including: web text and graphics; infographics; videos; customer case studies in video and in print; blogs; and email marketing. 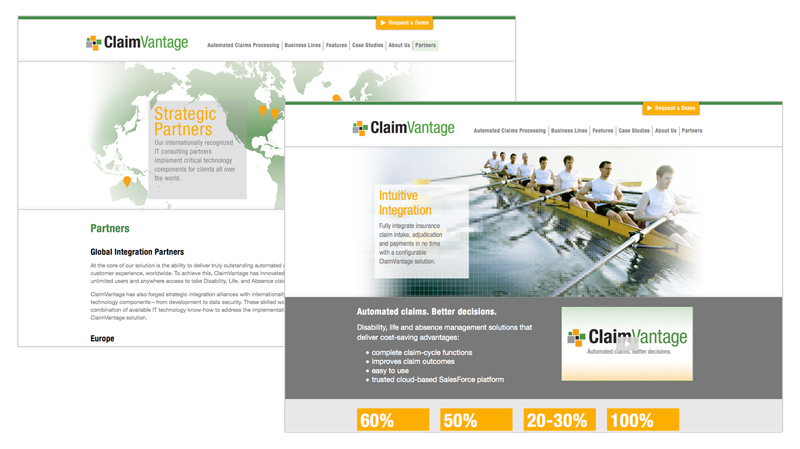 Read the complete ClaimVantage branding case study. Visible Logic interviewed customers for case studies in print and in video.